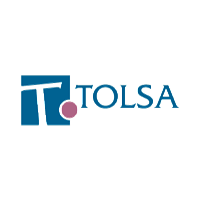 Tolsa is a supplier of sepiolite, bentonite and attapulgite clays to the coatings, construction and bitumen markets. Sepiolite is processed in Madrid, Spain and is a highly efficient rheology additive. The Pangel and Cimsil series come in untreated and treated grades. The untreated grades are used in water based systems. The treated grades are used in solvent based (low to high polarity) systems. Pangel W series: organically treated sepiolite for thickening and anti sag and water retention. Pangel B series: organic treated sepiolite for solvent based systems with usage based on polarity. Pangel OM series: organo bentonite for solvent based systems. Easy to incorporate. Usage based on polarity. Cimsil product range for construction products that include ceramic tile adhesives, SLU, mortars and projected concrete. The Cimsil product range will help with control of sag, slidding, and rebound. The line can be used on top of the current thickening package or as a partial replacement of cellulose. A pregel in liquid form is available for projects where dispersion is limited.